The Propeller Set for Solo Quadcopter from 3D Robotics features a pair of spare self-tightening props in black, one clockwise (CW) and one counterclockwise (CCW) model. Please ensure, when replacing your props, that you use the same rotational model as was there before. Improperly installed props may loosen and detach in flight. 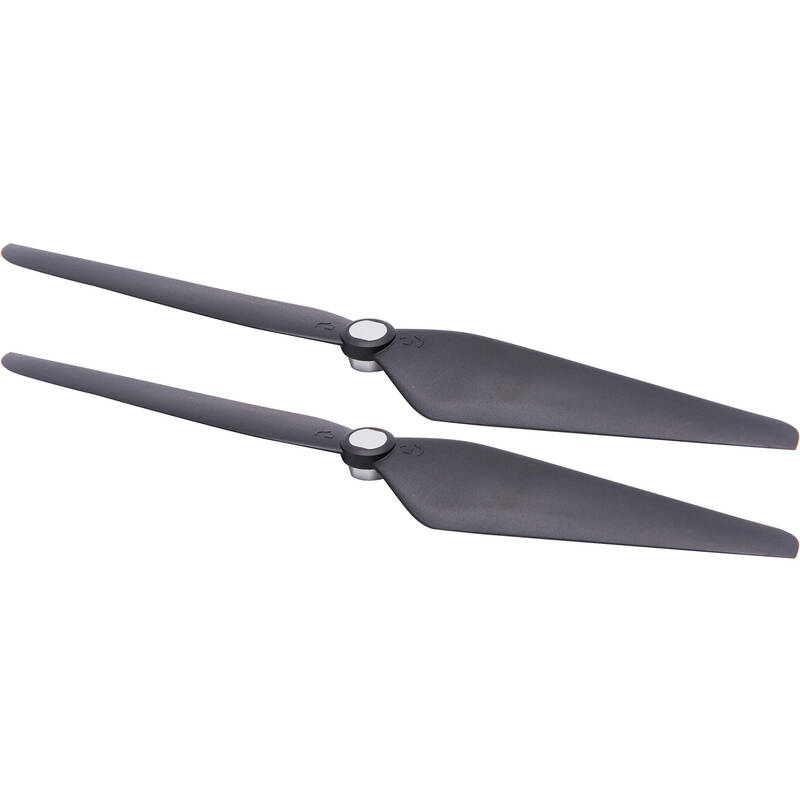 Box Dimensions (LxWxH) 10.0 x 1.6 x 1.0"
Propeller Set for Solo Quadcopter (Pair, Black) is rated 4.8 out of 5 by 28. Rated 5 out of 5 by Douglas from Easy Peasy So, I may have accidentally crashed my drone and 3 propellers were destroyed in the process. I was holding my breath to make sure there was no other significant damage. I ordered two sets of propellers, they came, easy to switch out of course, and whammo, the 3DR was airborne once again. I love that crashing into a tree only amounted to a $ mistake (for the two sets) and I love that these things are so easy to switch out. This drone, and all its component parts so far has proven to exceed my every expectation. Rated 4 out of 5 by Anonymous from Solo propellers These are the propellers for the Solo Quad copter. They are easy to install and work as they should. I have not had to balance these as they work great out of the box. I would rate them higher .. but they are made from a normal plastic. this could been a lot stronger. For the money I wish the props were Kevlar or a stronger plastic. They work fine and install fine and that is the important thing. But they can and break easy. 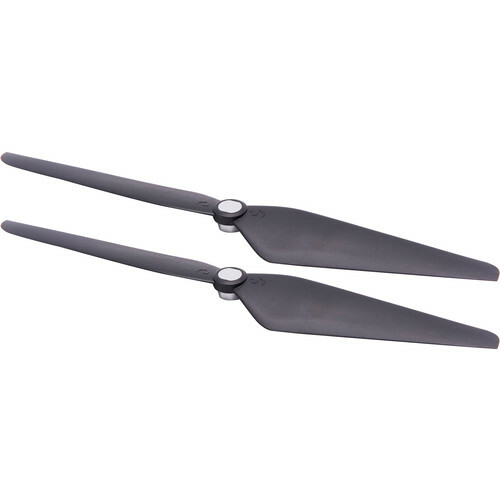 Rated 5 out of 5 by Fink from Solo Quadcopter Black Propeller Blades Excel. Since the change over from the white propellers to the stiffer black blades, we have seen a visible difference in the steadiness of the video and increase performance in the flight of the DJI Phantom 3 Professional. Although still a novice, we can see in the video the marked difference the stiffer blades make. Should be standard equipment for the DJI Phantom. Well worth the higher cost differential over the standard blades. Rated 5 out of 5 by Jdgreent from Great Product It is one black and one silver propeller. They work great! Rated 5 out of 5 by Anonymous from need a pare I need a back up spare for my solo, since I'm getting other items from BHPhoto, I brought this pair for saving some shipping charge. Rated 5 out of 5 by Scott from Solo props work great Only two proper but they came in a timely manner and are exactly what I expected. Rated 5 out of 5 by droneflyermn from highly recommended Excellent service, very fast shipping. I highly recommend anyone. why has this not come in the mail yet?